Sony is not one to stay silent on the smartphone front for long, and it just reconfirmed this tradition by announcing its sixth and seventh Android phone for the year - the Xperia XZ and X Compact. Part of the new X-series that replaced the Z-line, the XZ should be the seasonal flagship from Sony, as it is equipped with Qualcomm's latest and greatest Snapdragon 820 chipset. Other than that, however, the phone seems like an incremental upgrade over the 5" Xperia X Performance that landed in July, and which also sports Snapdragon 820, 23 MP camera, and a 13 MP frontal shooter, just like the 5.2" Xperia XZ now. 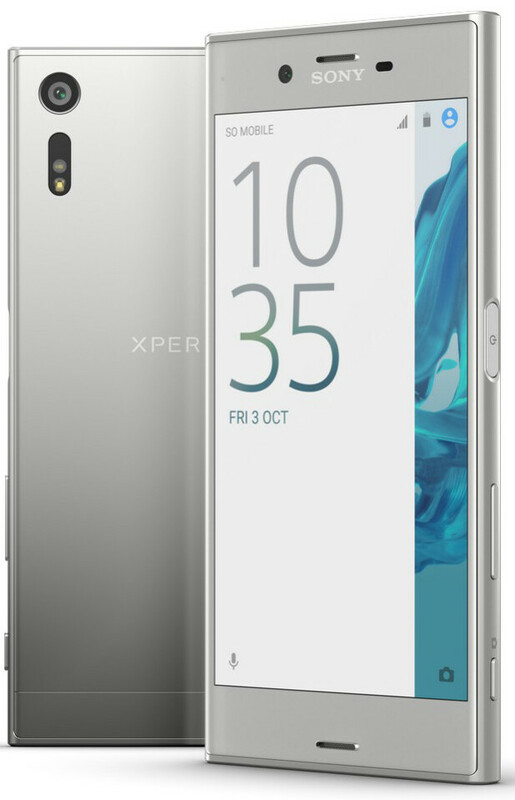 Sony's signature design language that has been a staple in its portfolio for the last few years now has been tricked up a bit in the XZ - we get a fresh so-called "Unified Design", with more rounded edges and seamless transition between front and back, as well as an intriguing ALKALEIDO aluminum alloy on the back that looks pure and shiny. The exact dimensions and weight are 146 x 72 x 8.1mm and 161g - pretty much par for the course for a 5.2-incher with a premium material chassis. Not only that, but the new colors of the XZ - the signature hue is Forest Blue, but it will also come in Mineral Black and Platinum - will also get matching interface shade for a more complete synergy of form and function. As typical for a Sony high-ender, the Xperia XZ is IP68-certified as a waterproof phone, too. Last but not least - there is a key difference with the X Performance, as we get to receive the trendy USB-C connector at the bottom, a first for Sony's Android posse. Moving on under the hood, we can find a Snapdragon 820 ticker, 3 GB of RAM, 32 GB expandable storage, 5.2" 1080p panel, 23 MP camera, and a 13 MP selfie snapper. The battery pack has gotten a boost from the 2700 mAh one in the X Performance, and now sports 2900 mAh of juice. Sony again promises two-day battery life from its new flagship, but, given Snapdragon's latest history, we'd have to put those claims to the test first. The company also offers fast charging with the XZ, as well as its yet-to-be-proven battery preservation tech that is gentler on the charge/discharge cycles to aid the longevity of the sealed battery pack. The audio department has been enhanced by an improved stereo noise-canceling mics set, and 3D surround speaker, plus the usual Sony combo of high-fidelity sound reproduction techniques. Now we arrive at the most interesting part about the handset. Sony has equipped the Xperia XZ with a 23 MP IMX300 sensor with 1/2.3"size, 6-element lens with f/2 aperture, as well as all the camera technologies you can think of. There is phase-detection AF for quicker snaps, but also laser AF and IR color sensor. This holy trinity is what Sony calls "triple image sensing technology," and hopefully it will return better results in low-light than what we have now on Sony's current flagships. Unfortunately, while a new Sony 5-axis software stabilization is present (borrowed from the Handycam line), the company has again felt no need to include optical image stabilization - the Steady Shot function apparently works well as it is. Fortunately, however, the phone now does 4K video recording, which is a first for the X-line, though the 5-axis SteadyShot is available only while filming 1080p footage. At the front we get a hearty 13 MP shooter with 1/3" sensor size and 90 degree wide-angle lens. Hey, this was most phones' rear camera just a year or two ago, so it should be returning some grand selfie snaps. The Xperia XZ will command "flagship pricing" when it lands on October 23 with the Xperia UI and Android Marshmallow on board. There is a finger scanner on the side power key, though whether this one will be missing in the US edition, like on other X-series units, remains to be seen. Any takers? I comlletly dont get unnecessary incremental upgrade strategy that Sony practising. This way they loose any wow factor. They've lost it, their mobile division has gone full retard now and there is no going back. If Sony got the camera software right, this phone might be an excellent choice. People say this every time Sony releases a new phone. It's like a tradition now and Sony never disappoints to ruin the camera. Nice looking phone. Waiting for see how their camera performs. LOL at holy trinity tech. Seriously the X Performance was only released a month ago in Australia! and still no fingerprint sensor in the US Sony have failed once again. X performance is $700 so the XZ could mean more expensive so this will fail also. I think,the most important thing here is the price. If Sony price it right, i think it's quite a worthy upgrade for those who already in the X series wagon. Design wise, it's quite refreshing (in term of sony's old and gold omnibalance design). Specs wise, quite updated (most people might complained about 1080p screen, but im ok with that) So? What (will) makes people to steer away from sony's phone? The pricing. 2014 specs no thank you. if pricing is higher than 450$ than its just a meh device. Way too late with the specs offered. Only chance this wouldve sold well is if it was released half a year ago. October release with a Snapdragon 820? Goodness sake the Asus that costs considerably less would get a SD821 by then. What do Sony have against 5.5 inch screen? I would like to try a Sony product!